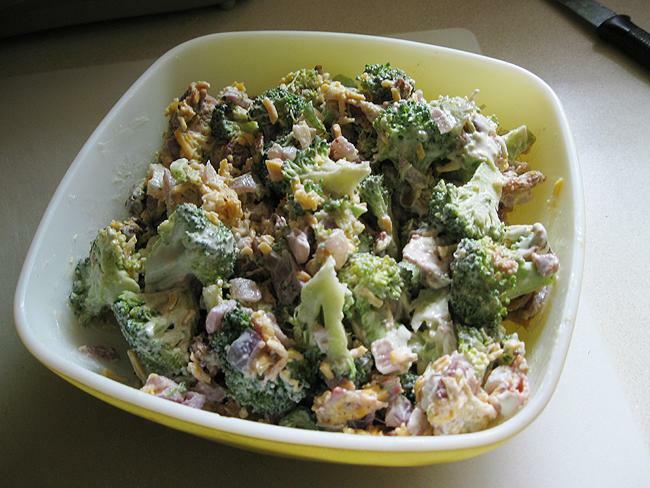 This great salad recipe is from the kitchen of DH’s Mom. I am not sure if it’s a family recipe, but it’s certainly DH’s all-time Favorite! Wash and cut broccoli and set aside. Prepare dressing by mixing mayo, vinegar and sugar in a small mixing bowl, refrigerate until ready to use. In a skillet, brown bacon until crumbly. Remove from pan and add to broccoli, set aside. Add diced red onions to the bacon grease and saute until just translucent- you don’t want them to get soft, just to release the flavours of the onion. Add the onions to the broccoli, pour in a little of the bacon grease and mix together. Add the dressing mix and cheddar cheese, combine all and refrigerate for about an hour. Serve cold. Makes 8-10 servings for company, make an additional bowl for yourself or DH, there won’t be any left-overs! Cook rhubarb pieces and sugar in large saucepan on low, until mushy. Add packet jello mix and bring to a boil- cook 10 minutes on high. Pour jelly into prepared jelly jars and seal. 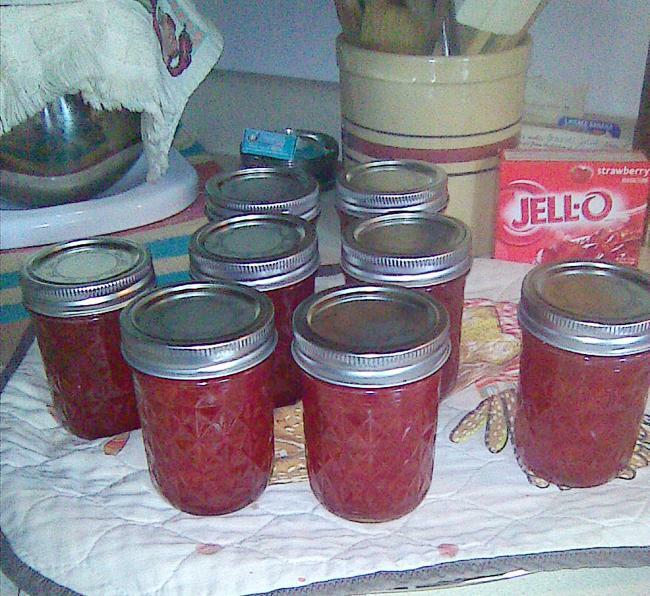 Makes 10 Jelly Jars and lasts until DH finds it~Weeee!! !